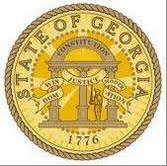 Judge Goger, a Fulton County Superior Court judge, recently heard oral argument on the issue and just yesterday, issued his opinion that the appointments by Governor Deal were, in fact, constitutional. But hold all tickets. The challengers, who have now lost in the trial court, have vowed to take their case to the Georgia Supreme Court on appeal. So stay tuned. I’ll be watching this case in the Georgia Supreme Court and will keep you posted. In the meantime, if you are actually faced with voting in an election for a judge and you are not sure who to vote for, consider reaching out to a lawyer you know to ask for his or her opinion. They are likely to know the lay of the land regarding judicial candidates.